This may be the first day of a yoga retreat, there is a kind of decompression that happens gradually to return to what is really important: the connection with the earth and your surroundings. On these types of trips you just feel like one part of you is at home, and other part is concerned with going beyond. In Omm Retreats we do that in all our destinations: we involve yoga, the magic of cultural immersion, delicious and healthy food and the experience of staying at unique places. Our trips are carefully planned with the perfect blend of great places, tons of nature & professional instructors. The retreats are quite different from each other: some are a week long or just 3 days, destinations change from cultural to wild , the styles of yoga and teachers also vary. For example: In Bali there are excursions to volcanoes and a Balinese cooking class, in Mexico visits to indigenous communities, in Spain a mix of music therapy and yoga sessions in the forest, in Sri Lanka visits to the elephant reserve and a chance to experience real Ayurveda healing. And in the afternoon: yoga session with meditation, followed by a well balanced dinner and gathering. The yoga sessions are accessible to anyone regardless of age or yoga level- and depending on destination or yoga instructor it can be more or less dynamic. So if you worship authentic places, amazing nature, great experiences and enhancing culture & people we invite you to discover it with us. 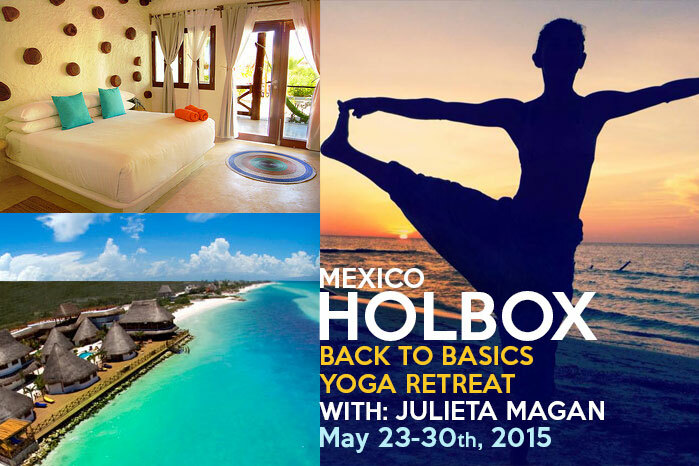 Looking for a yoga retreat in Mexico? We’ve prepared this exciting trips for you. Each one has its special touch and style of yoga. A yoga retreat on this sublime island: Breathe Bali yoga retreat: Experience your inner vibrance on this sublime island! 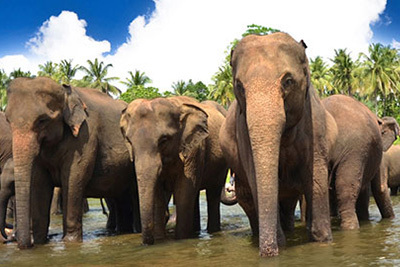 A Yoga Retreat in Sri Lanka, which the explorer Marco Polo wrote that was the finest island in the world.